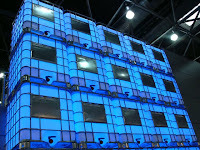 Now the 3rd and final part of the Interpack trade fair. 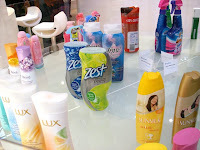 Here I found a great stand with allot of different products shown with allot of different bottle designs. There were allot of brand I never seen in the store in the Netherlands so it a quite great inspiration source to be at this international trade fair. 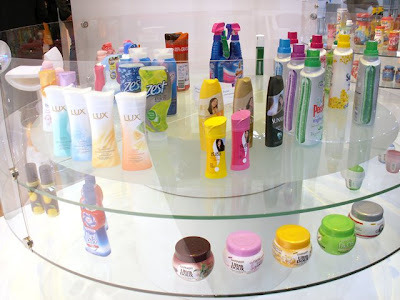 Here on the left you see different shampoo bottle with quite special shapes. The one that catches my eyes were the Zest bottles. However the Lux bottle looks pretty fancy too. 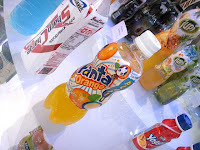 And on the right a Fanta Bottle from Japan. It look quite different to what are sold here in the Netherlands so maybe something that is very new. Here is another part with different drinks. On the left a bunch of bottle and few I actually have in my own room. Actually when you walked around this stand you saw different things from different countries and you could easily spot which cam from where just by the design. 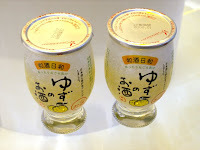 On the right a Japanese drink not sure what it is but the simple design looks quite good. On the left not sure what it is, but I think it milk in a can for small children or babies. 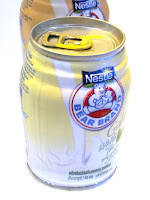 However the shape of the can look quite special. 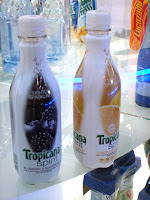 The middle two bottles of Tropicana drinks, both simple clean design not too much things. On the right a pillar with trash or aluminum trash, this fair is not only showing packaging but also about materials ans sustainability and this stand was all about recycling aluminum. 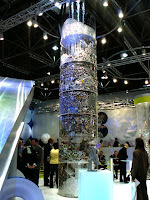 And in this pillar it shows all kind of used products or packings that used aluminum. 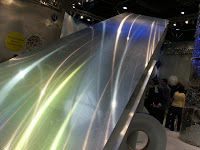 Also they had the biggest piece of aluminum I have ever seen placed in the middle of the stand which was very cool with the special lighting shining on it. Another cool was one that had giant containers / tanks that were glowing. That surely caught my eyes when I saw that. Those are plastic containers with a steal frame or basket around it so it can be stacked without having to put too much pressure on the tanks. 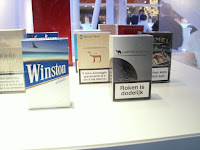 Also there was a quite big collection of different cigarette packages. Also few very special ones however I have not seen one of the Burgopak versions between them. 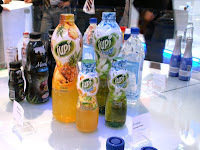 Also too bad that Burgopak have not had a own stand at Interpack but were places between other companies. 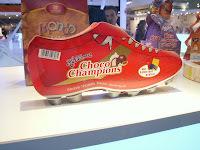 A cool soccer shoe shaped box for chocolate bonbons. Soccer is one of the biggest things that can happen and allot of companies know they can attract costumers with. 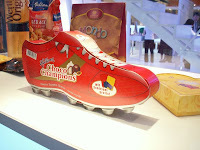 The cool shoe shape box is quite awesome cause only of the shape. It could had contain anything however I doubt chocolate bonbons for guys ain't much as a success. Not sure if they is new but it certainly looks very old. 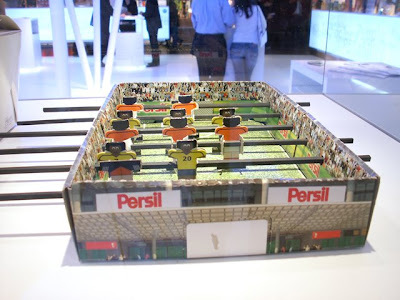 A cardboard fussball / soccer table for Persil a brand for washing powder or fluids for clothes. I am not sure if it is a washing powder packaging that you can make into a soccer table or a something else. It was a great event to go to when you got to do with packaging not only to get some inspiration and to look what is happening but also to get some contacts with the companies. 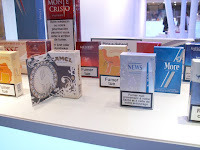 Maybe the next time in about 3 years I will be standing there myself with my own stand showing my own packagings.